Have you ever seen people get really excited about science data? Navteca, along with the NASA Applied Sciences Disasters program, within the Earth Science Division of NASA's Science Mission Directorates, has been exploring virtual reality (VR) technology for the next generation of Earth science technology information systems. VR has the potential to allow people to experience scientific content in new and engaging ways, including interacting with GIS and Earth observation data, as seen in this presentation of VR interactive flooding, immersive hurricanes, and global climate data visualizations. By adapting data sets to create stunning, immersive visualizations and combining them with three dimensional city models and land topography, this session will inspire and inform as to how VR can create a new way to understand Earth science information across disciplines. 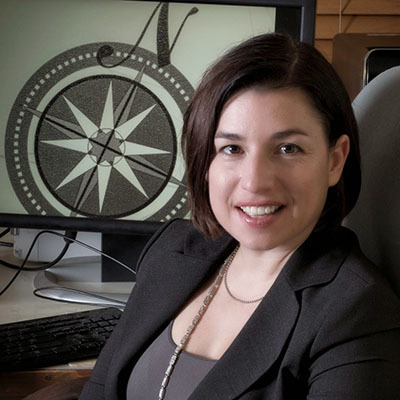 Shayna Skolnik is co-founder, CEO, and creative mastermind of Navteca, a Maryland technology company that has been pioneering the use of VR technology for Earth science, working closely with NASA and others to push the boundaries of GIS data visualization.